If you have been around my blog lately, you might have noticed all of the grilling recipes. Why’s that? Simple enough, I see no point on turning on a hot oven to heat my house when I can simply turn on the grill outside and grill it! Win win right? My food gets cooked, I get some amazing fresh air and my house stays cool…need I say more? I can pretty much transform any dish on the grill, I just need a few simple tools to help me with this. Here are a few grilling essentials to help you succeed on the grill. I use every one of these on a regular basis and love them all! 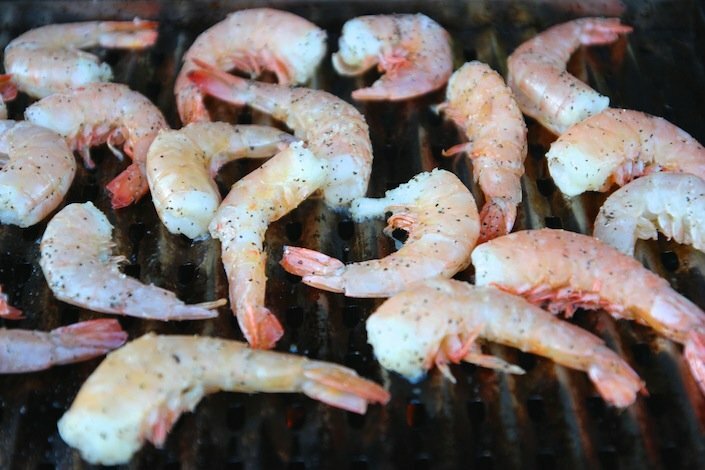 So let’s move onto learning how to properly grill shrimp so that they are juicy and tender shall we? 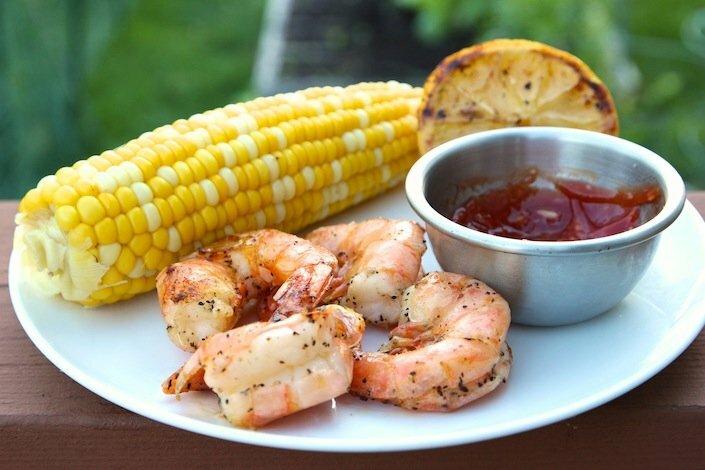 I am about to share my secret on how to properly grill shrimp every time with you. Are you ready for it? 🙂 The key is to leave the shells on the shrimp and grill them in the shells. You still need to devein the shrimp, which can be done easily with a sharp knife through the shell, running it down the backside of the shrimp and butterfly the shrimp open so that you can remove the vein and still leave the shrimp intact. Look at the pictures closely here and you can see what I mean about butterflying shrimp. 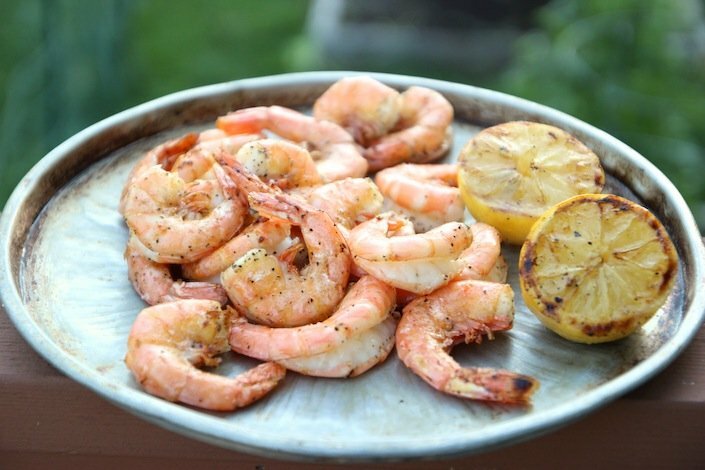 Once you have the shrimp cleaned, simply coat them with 1-2 tbsp olive oil, melted butter or melted coconut oil and gently toss. Be sure to season them generously with salt and pepper. 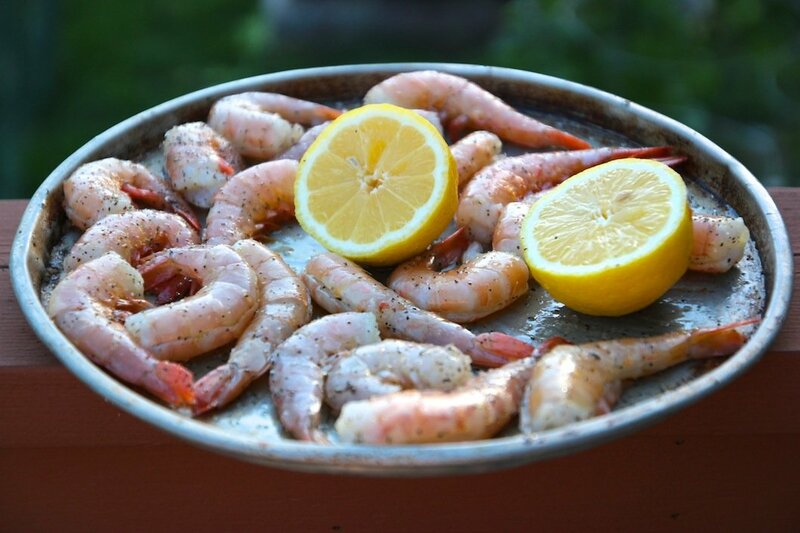 Place the shrimp onto a grill pan. You want to use a grill pan so that they don’t fall in between the grates and they also cook more evenly. They should look like this right before you put them on the grill. I also love to add some fresh lemon to this dish. I simply cut in half, brush the top with some butter and season with some salt and it is ready for the grill. Place the lemon cut-side down on the grill, like this picture. 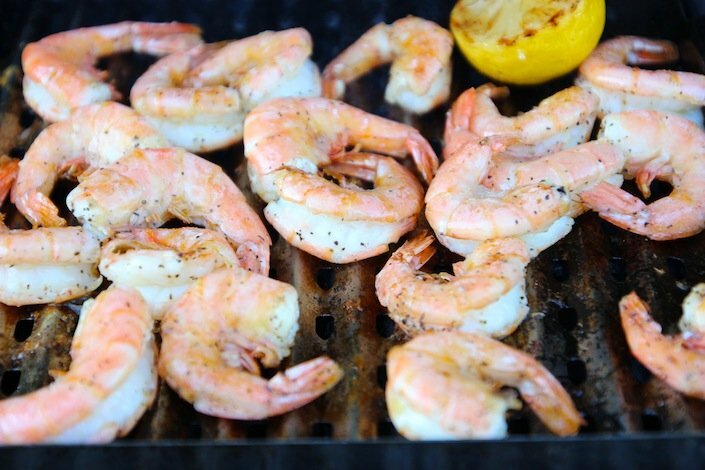 Grill the shrimp for 2-3 minutes. Using your tongs, turn the shrimp over to the other side and cook for another 2-3 minutes. You can tell that the shrimp are done when the tail of the shrimp starts to work its way up to the head of the shrimp. See how they are curling up in this picture? When the shrimp turn white in color, not opaque, they are done. Shrimp cook very fast, do your best not to overcook them. 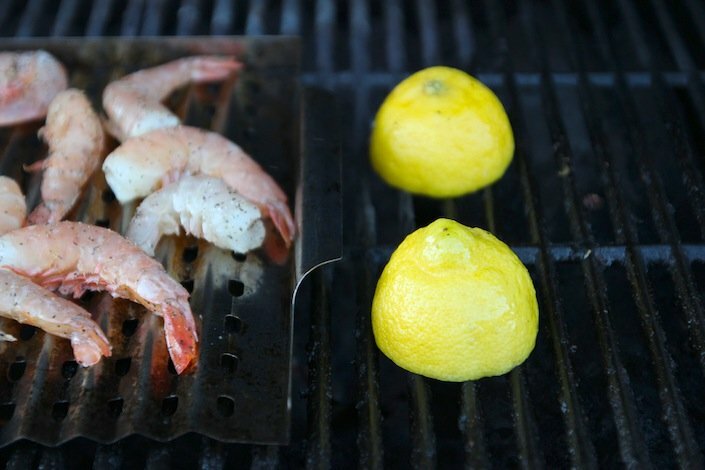 When done, remove the shrimp and lemon from the grill, squeeze a bit of the lemon on the shrimp and sit back and enjoy! Now simply peel and eat the shrimp. Notice how tender they are…amazing! Does this meal scream summer? What are some of your favorite dishes to serve up on the grill? This looks delicious and super easy! Thanks for another great recipe! janedoiron You are welcome! How are you? Missed seeing your face lately 🙂 Things well?